As the ancestral home of the Ubud royal family, this 19th-century palace is impressive without being ostentatious. It showcases classic Balinese architecture with a series of walled courtyards and pagoda-like gatehouses. Nightly performances of traditional Balinese dance and music are staged at the palace every day of the week. 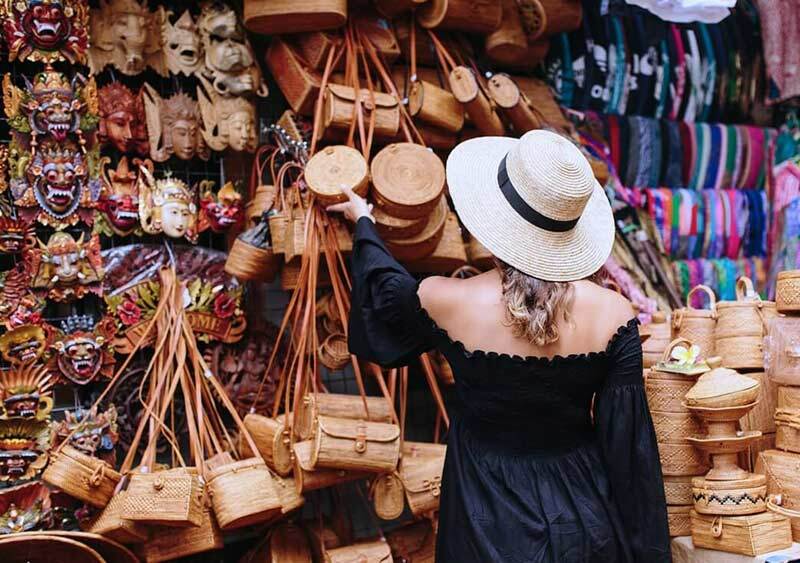 Ubud’s icon marketplace is a shopping haven packed with colourful stalls and outdoor vendors. It sells anything from handicrafts, sarongs, jewellery and souvenirs to food and essential household goods. Many believe that the Ubud Market is the best place to practice the art of bartering where you can pick up a bargain or two. 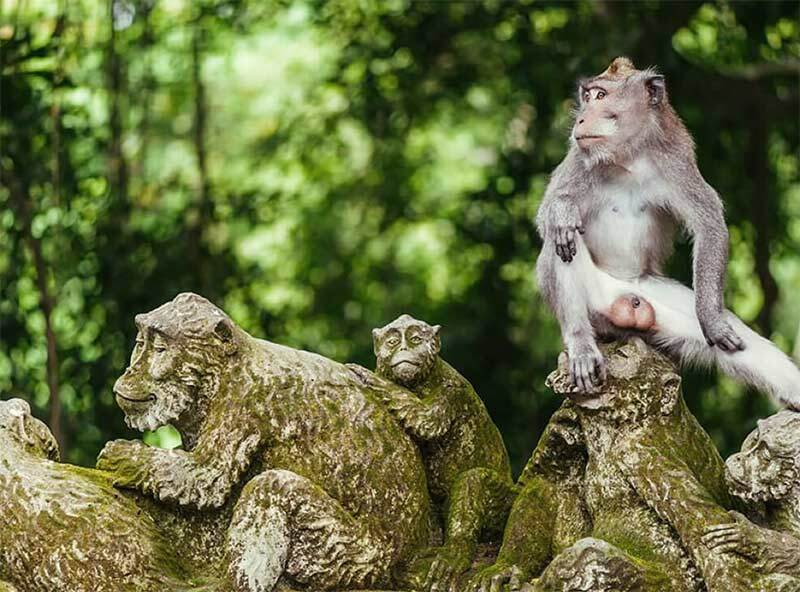 The Monkey Forrest of Ubud is a sacred sanctuary that is home to a clan of long-tailed Macaques. A mossy pathway winds its way around this protected nature reserve to reveal a small temple complex shaded by age-old trees and dense foliage. The monkeys are tame and can be fed peanuts and bananas sold by registered sellers at the front entrance. An area known as Tampaksiring is home to several sites of cultural interest. Gunung Kawi features a collection of shrines carved into a cliff face to commemorate members of Bali’s 11th century royal family. 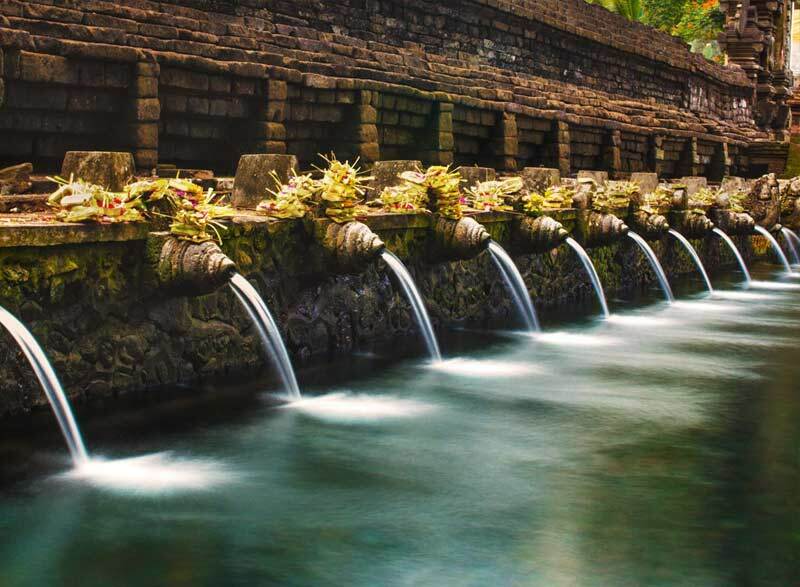 The nearby bathing pool of Tirta Empul is fed by a holy spring and is where locals come to perform purification rituals. 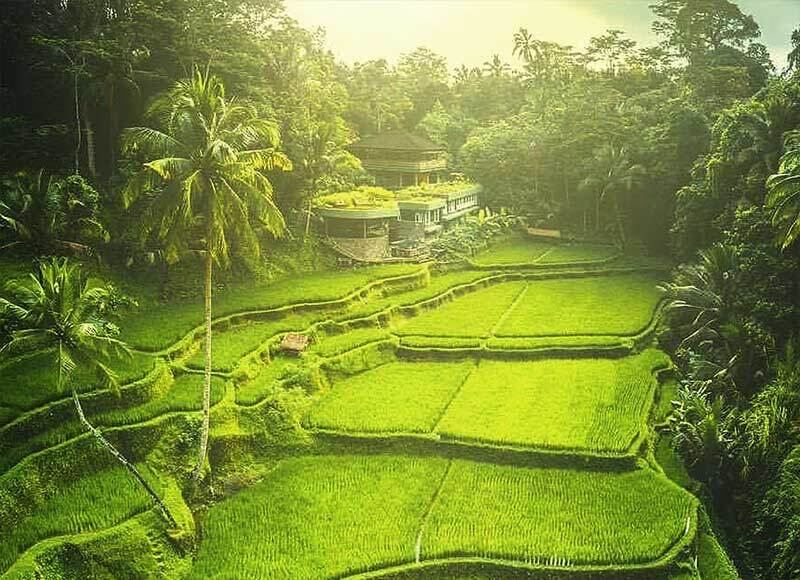 The picturesque rice terraces of Tegallalang are located just north of Ubud. They have been etched into the contours of a valley landscape by generations of Balinese farmers using traditional planting techniques. A shared irrigation system ensures that each terrace receives a sufficient supply of water to keep the area looking green. 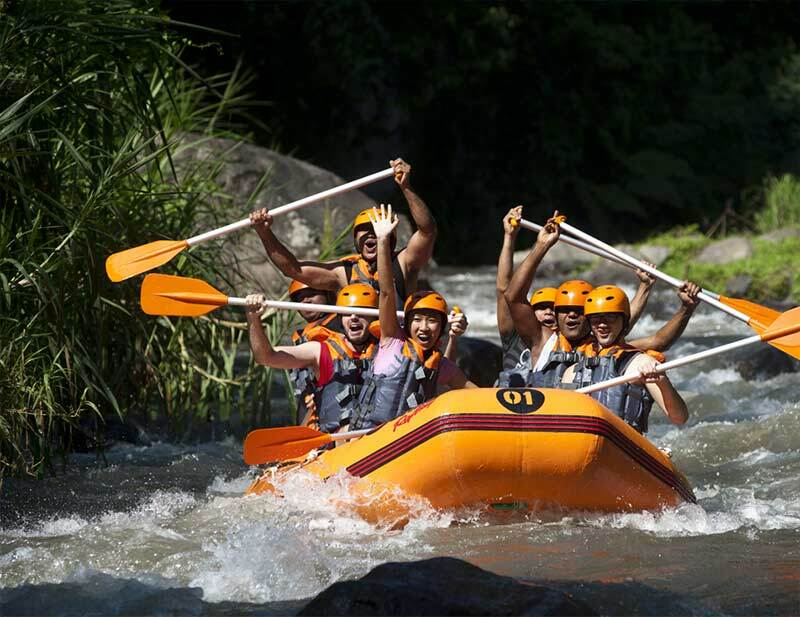 A great way to experience Bali’s rural landscape is with a white water rafting adventure down the Ayung River. Wearing a life jacket and safety helmet, you will participate in a guided river excursion in an inflatable boat. There are deep valleys, waterfalls and cliffs along the way with Class I and II rapids adding to the overall excitement. 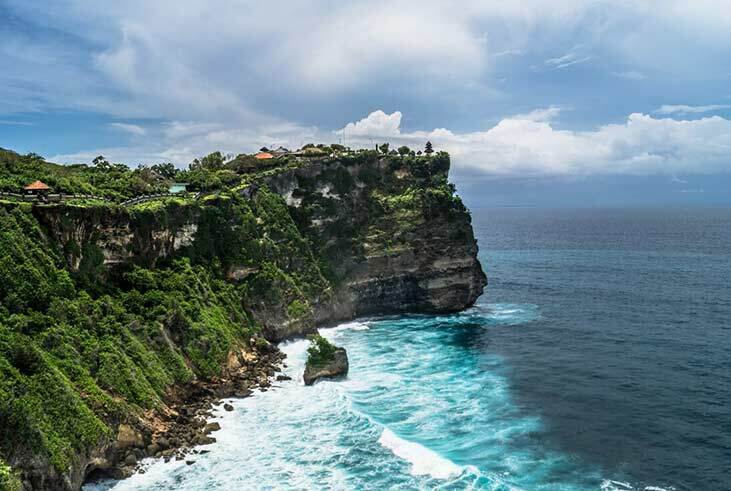 Perched on top of a steep cliff approximately 70 metres above sea level, Uluwatu Temple is blessed with spectacular sunset views over the Indian Ocean. This sacred site of worship is home to a cheeky clan of monkeys. 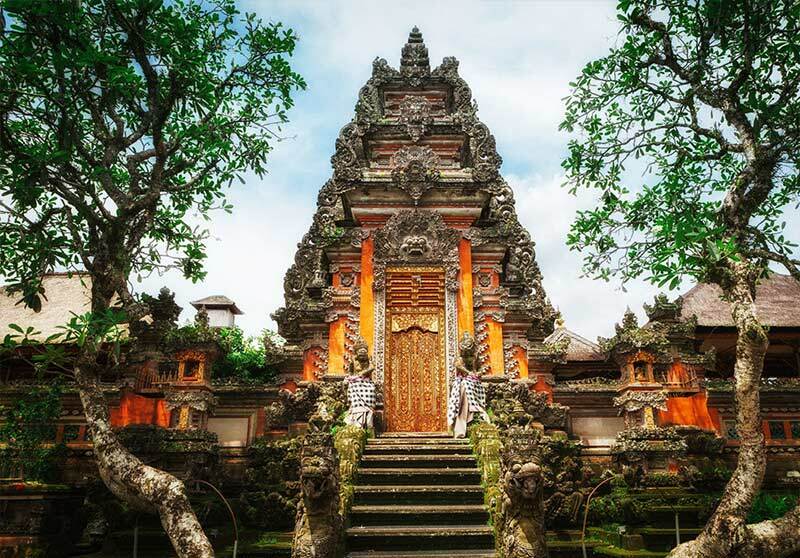 With traditionally-designed gateways and ancient sculptures, the temple is a fine example of classic Balinese architecture.